So far it was always the charm of a city and its attractions that made me want to extend my holidays, but the last days turned around my vacation expectations. It was definitely the hotel that made me want to stay for a couple of more days. It all started with a voucher for a stay in Vienna as a belated birthday gift and ended as one of the most exciting short trips I have ever done in my home country: Our journey led us to a totally different world offered by an incredible hotel – we spent 25hours in Vienna. 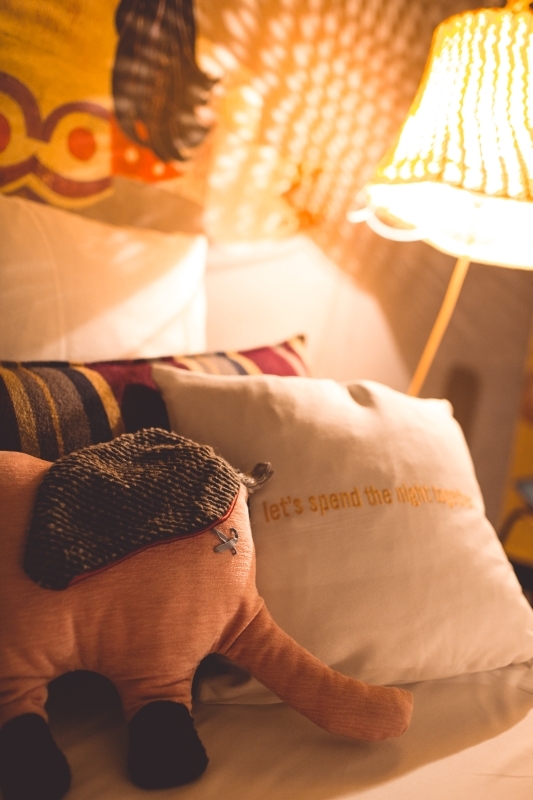 The 25hours hotel is a circus themed hotel in the middle of Vienna, near the MuseumsQuartier. DREIMETA - an Augsburg based design team - created this colourful hotel which is definitely a place for sensations. The first time I have heard of this hotel was in association with Manfred Baumann who did a photo shoot with Conchita Wurst. I remembered the brightly coloured rooms with those amazing wallpapers from Berlin illustrator Olaf Hayek. I think it’s the passion for details that makes this hotel extraordinary. There are different sized rooms with various wallpapers and interior. I really love the personal touch: You can find plenty of books about art, graphic design or fashion, but also their own magazine named Companion as well as a Bluetooth speaker in your room. Listening to my favourite music makes me always feel like home – which is definitely not a bad thing when you are travelling. I am not a sporty person, but the available sports equipment (hula hoop, yoga mat and juggling balls) turned me into a (clumsy) circus performer. It was so much fun to experiment with these things – even during the early morning hours. Also the aspect of sustainability filled me with enthusiasm. 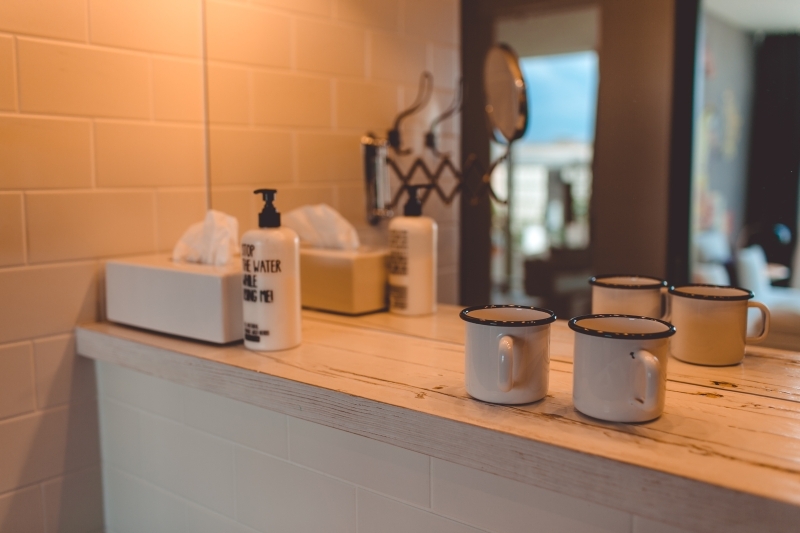 25hours hotels support companies like “Stop the water while using me” who – in this particular case – are drawing attention to protect water and saving money for Good Water Projects to bring clean water to those who otherwise would not have access to it. Also a part of each online booking on 25hours-hotels.com goes towards supporting water projects in Nepal. Not only our room, but also the hotel itself invited us to an exploring journey. As a photographer I really loved the wall with the old Polaroid cameras at the entrance hall. Also the Mermaid’s Cave (a sauna, steam bath and fitness room) in the basement as well as the Dachboden bar with a view over the rooftops of Vienna was worth a visit. If you like burgers as much as I do, I can recommend you the Burger de Ville summer garden. There is also a little shop at the reception area where you can buy lovely stuff like the Schlaffant, a cuddly stuffed elephant. This was definitely not my last stay at a 25Hours hotel and I hope I am able to explore different concepts in other cities in the future.